About two weeks ago, RuBe's Closet co-hosted a Fashion Brunch, along with A Sense of Style and Style Africa, themed Breakfast at Tiffany's. It was the perfect ending to a very busy year, we had so much fun with guest speakers, demonstrations and some fabulous fashion inspiration for a trendy Summer wardrobe injection. 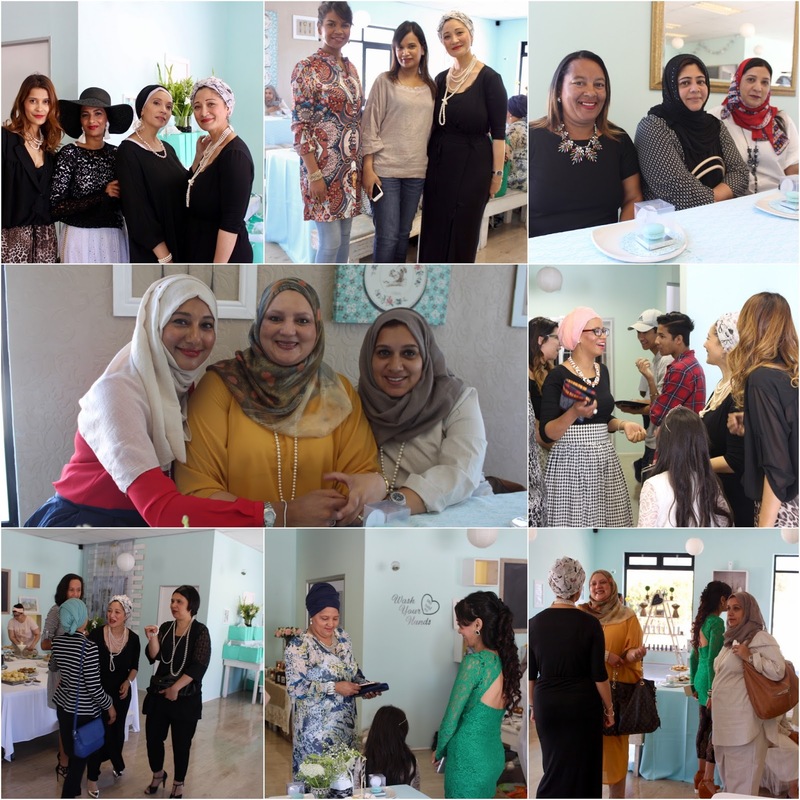 The idea for the brunch was to treat all our beautiful guests to a fun morning out, filled with beauty, inspiration, fashion and good food. It was so special to host all the stunning guests; some of them gorgeous blog readers with whom I interact on Instagram and finally had the opportunity to meet. 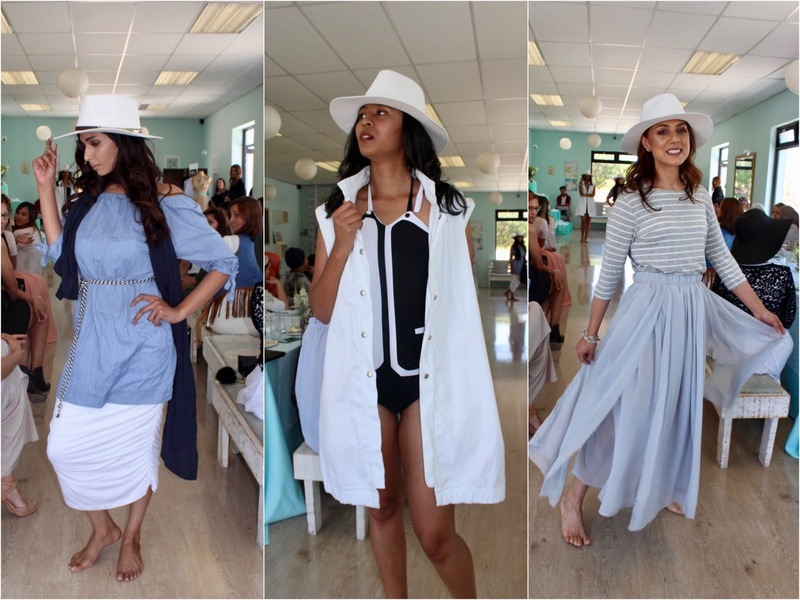 The ladies came dressed to the nines, with good friends in tow, prepared for a morning off from the usual grind. 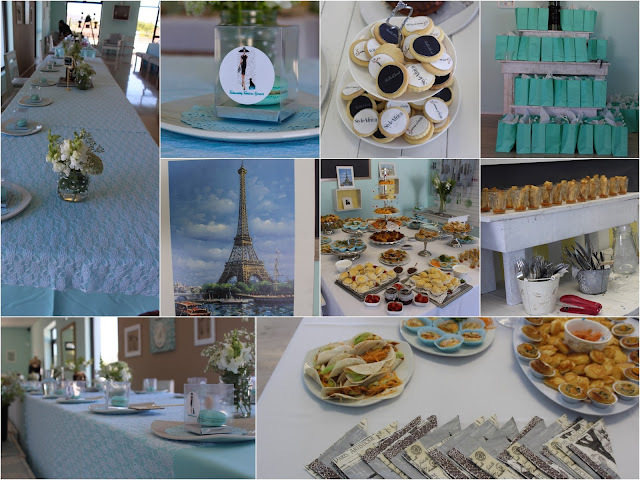 The venue was perfectly matched to our theme with its Tiffany blue walls, and airy feel, offering a back view of Cape Town's pride, Table Mountain. 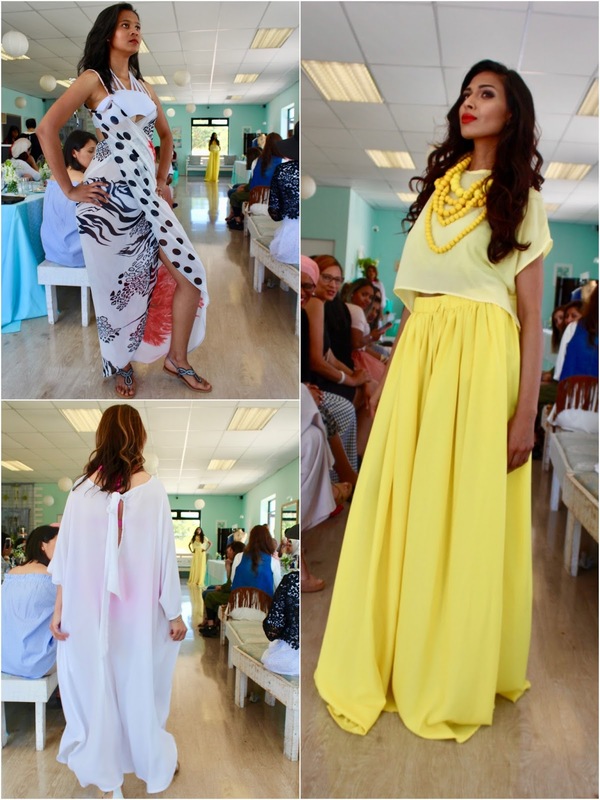 Our caterer was heaven sent and provided yummy food, beautifully presented to complement the classic fashion theme. We started with an inspirational talk delivered by the stunning Tatjana, founder and director of GoBeauty. Being an expat in our beautiful country and city, she has settled down in Cape Town and is one of our most ardent ambassadors. She also chatted about following your passion, the warmth of the Capetonians and how inspired she felt being a part of our morning. Her message was as beautiful as she is, and anyone who spends time in her company leaves feeling energised and inspired. She was also so generous and offered filled make up bags to all out guests as part of the goodie bag. Go Beauty has just launched a trip-advisor style website for salons and spas and allows for easy online spa and salon bookings. It's like a one-stop shop for beauty and pamper treatments and makes finding these services in your particular area a breeze. Read more on their services here. Our next guest was the strong, beautiful, Qaanita, makeup artist and owner at OnQ makeup. She demonstrated an easy makeup look, chatted about the latest makeup trends, products, and how to apply them. 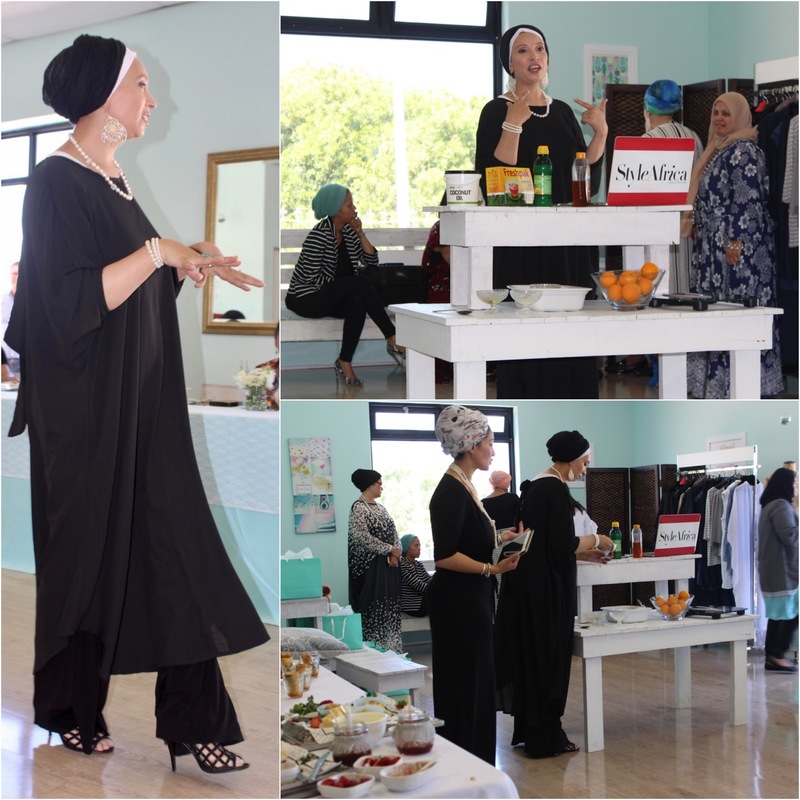 She also offered some one on one tips to guests after her demonstration. 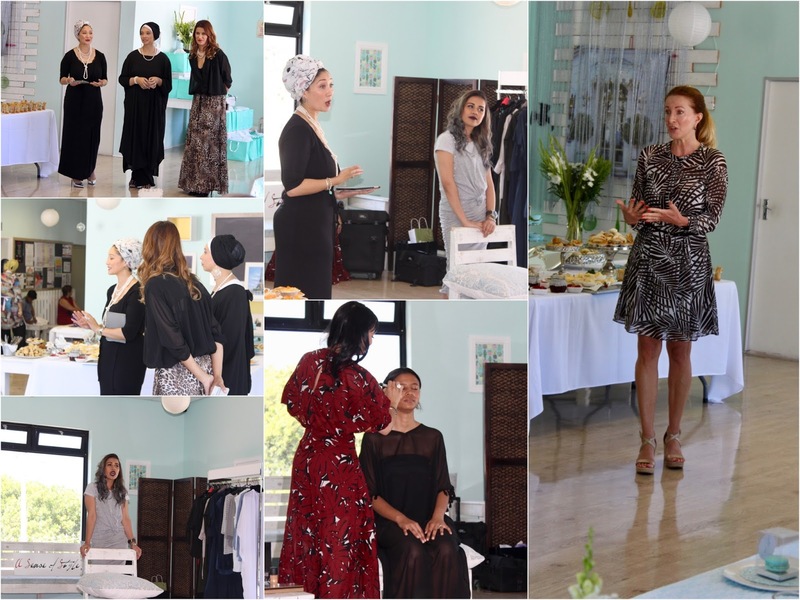 OnQ Makeup will be hosting their makeup workshop on 11 February, an intimate forum where all participants are able to interact with her directly and get some guidance and advice on specific make up and beauty concerns and questions. Read about my experience at her workshop earlier this year here. We were lucky to have the gorgeous Nuraan, Creative Director at Hair Studio hair salon to chat about hair care. She demonstrated an easy way to style the hair for a glam night out by braiding the hair first. It literally took a few minutes and she had transformed a long curly hairdo into an elegant look for a night out. 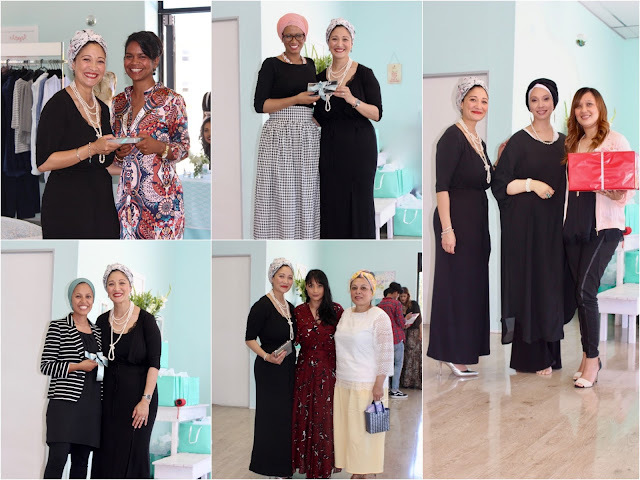 In between our guest speaker lineup ladies were able to grab some delicious food from the buffet table, and we spoiled some lucky ones with prizes. Our co-host, Roshan from Style Africa shared her wellness tips and illustrated how easy it is to make face pamper treatments from ingredients we have in our pantries and refrigerators. Making a face mask is as easy as opening the fridge and using household groceries for a paraben free treatment! We ended the morning with a fashion show, displaying the latest Summer pieces from A Sense Of Style. 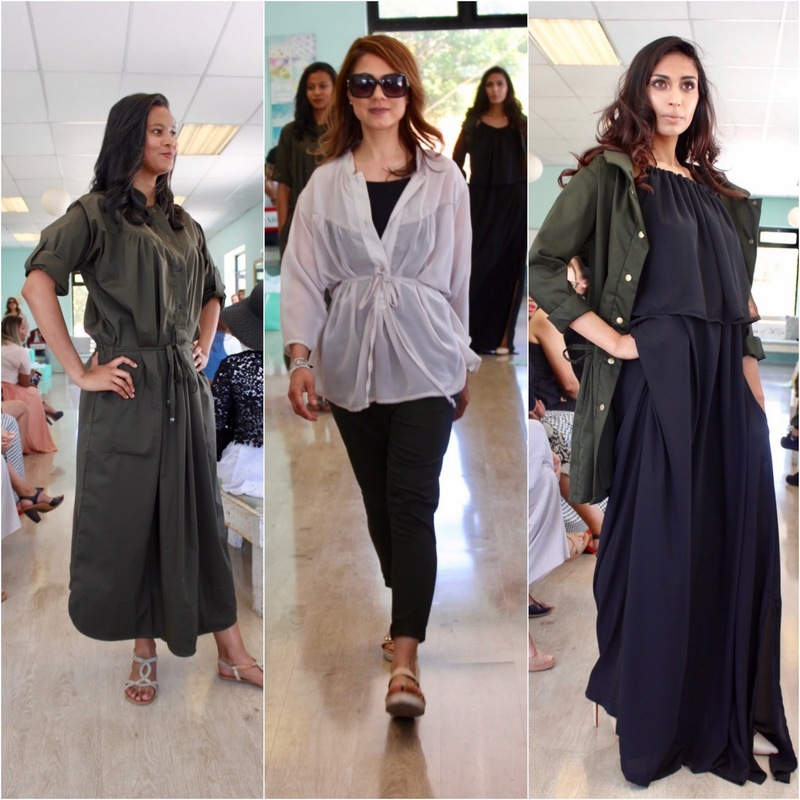 RuBe's Closet did a live fashion styling, showing the guests how some pieces could be styled in various ways. From the beach look to a casual sneaker look, and finally taking it to an evening look. 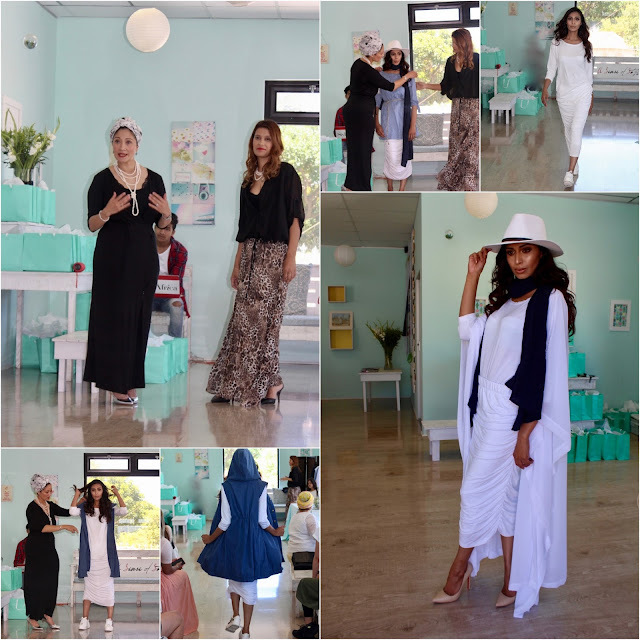 I styled the white ruched skirt and by changing a top or adding a flowy kimono, I transformed the entire outfit from a day look to a romantic Summer evening look. I was particularly drawn to this tropical print, and the full print outfit (ie print top and pants) is right up my alley... 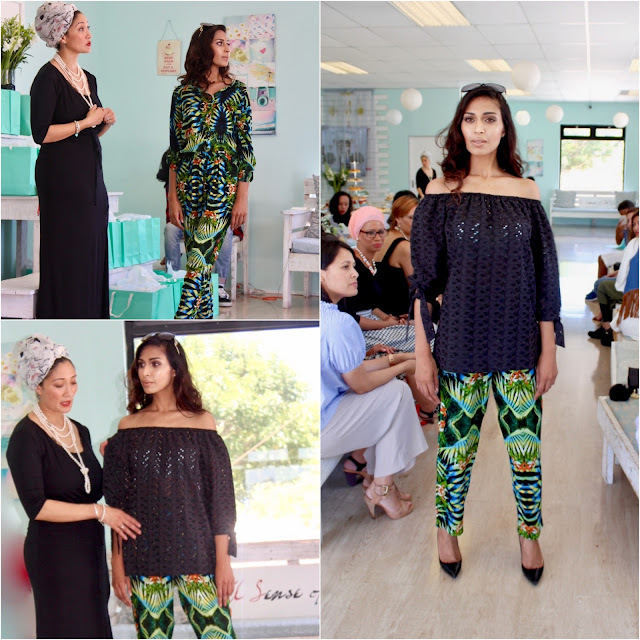 However it may be a bit bold for some and I demonstrated how to break the print look with a black off the shoulder textured lace top. 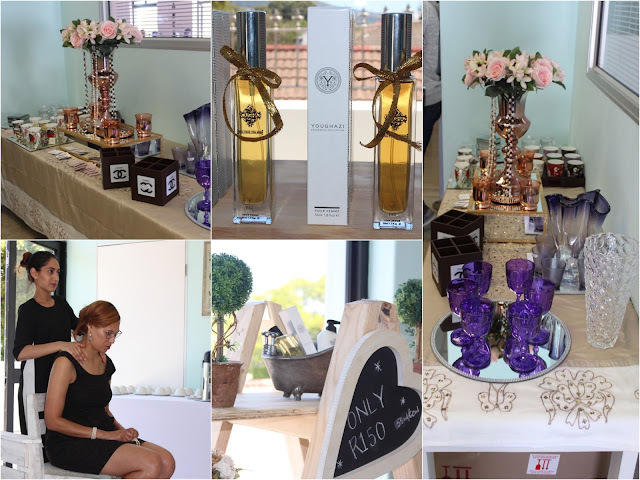 Throughout the morning our vendors offered gift shopping from beautifully presented displays. 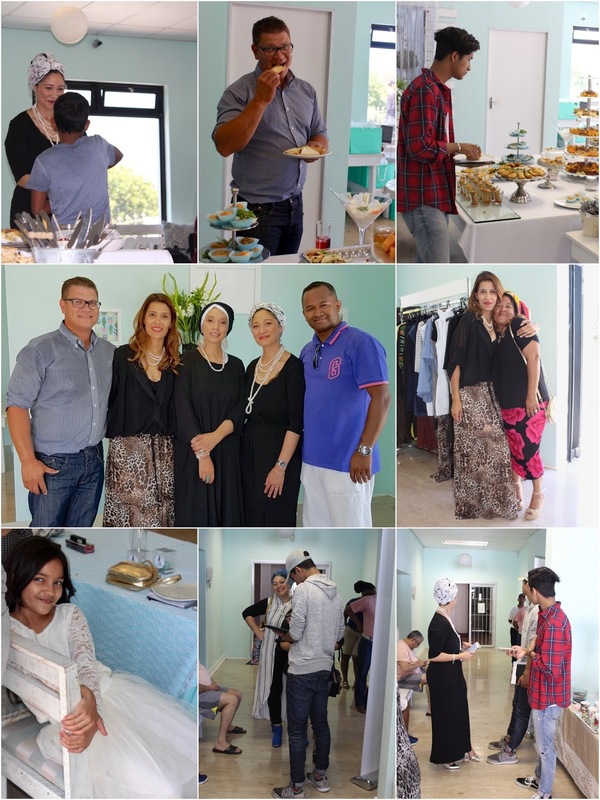 based in Kromboom Centre Crawford, stocks the most beautiful crystal pieces, accessories, high end table ware and jewellery and accessories. offer locally manufactured fragrances, with scents reminiscent of your favourite designer scent with a cost effective price tag. offered mini pamper treatments throughout the morning. 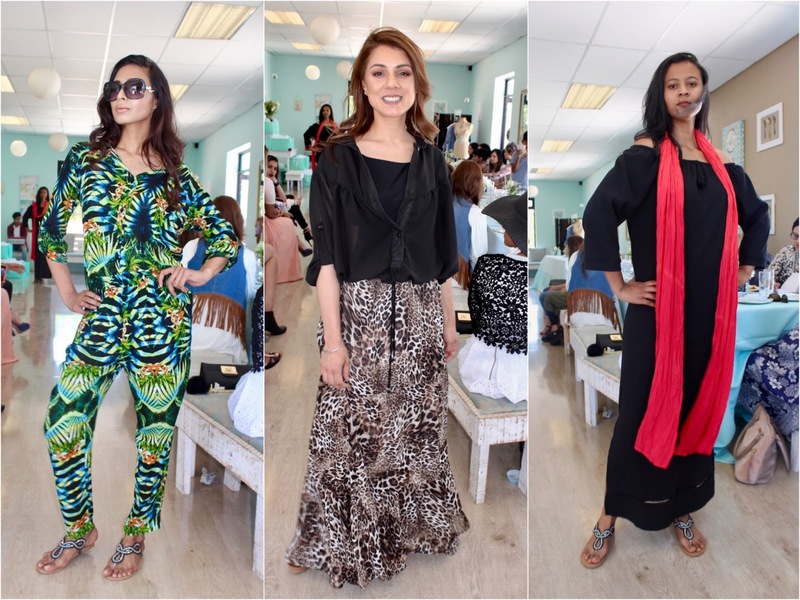 Khadeeja, based in Rondebosch East , runs a ladies only salon with treatments such as waxing, threading, massages and facials. And to all those family members and friends who helped out behind the scenes to ensure the day was a success, I extend a heartfelt thanks. It was really special to have all of them in our space for the morning, working hard to ensure our guests were well taken care of. 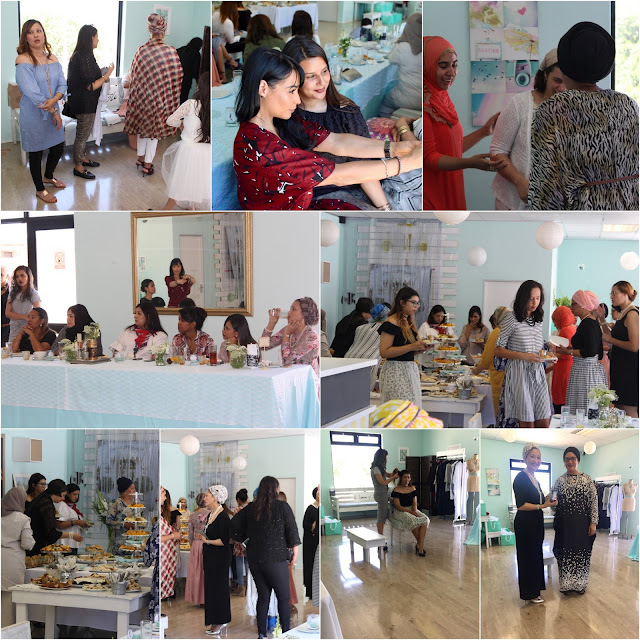 We are eternally grateful to our guest speakers, vendors and sponsors for participating and bringing their special touch to our morning.